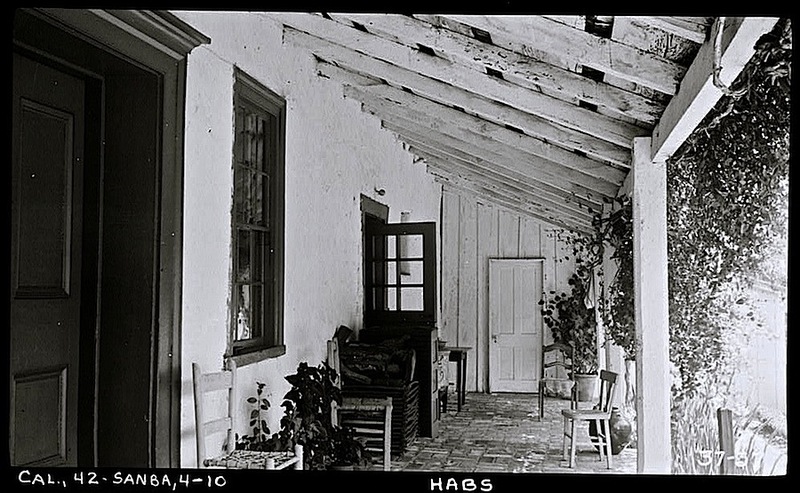 The Rafael Gonzalez House, which was owned by Louise and David Vhay at the time of these photos, was built in 1825. 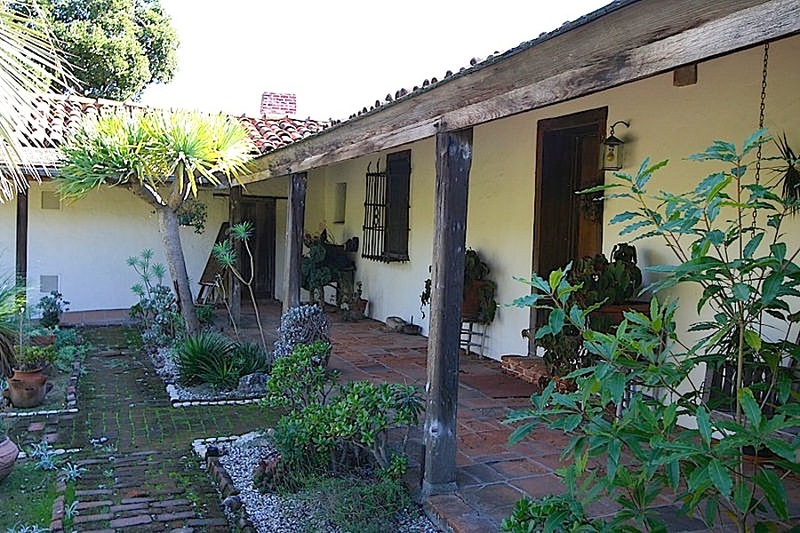 It is a typical adobe townhouse of the Mexican California period, with walls over 2′ (.61 m.) thick. 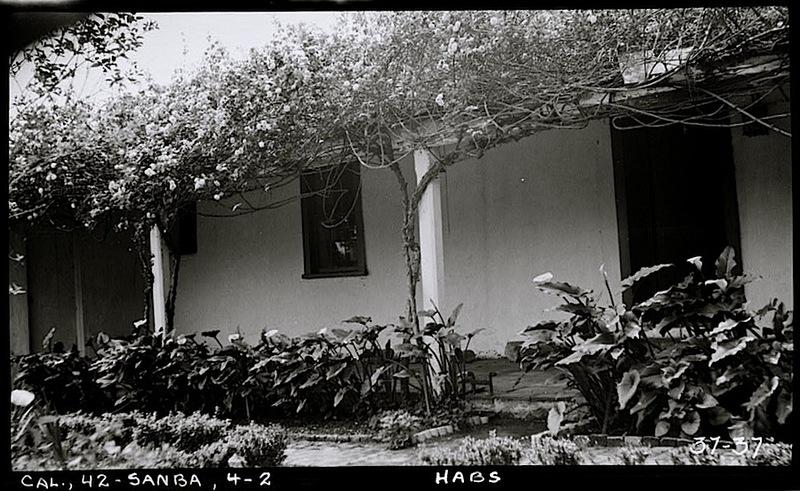 Gonzalez was a soldier and landowner when he built the house for his Italian bride. He became mayor or alcalde of Santa Barbara in 1829. His daughter, Salome, inherited the home in 1866 and lived there until 1923. The Vhays restored and enlarged the house. It is now occupied by Randall House Rare Books. 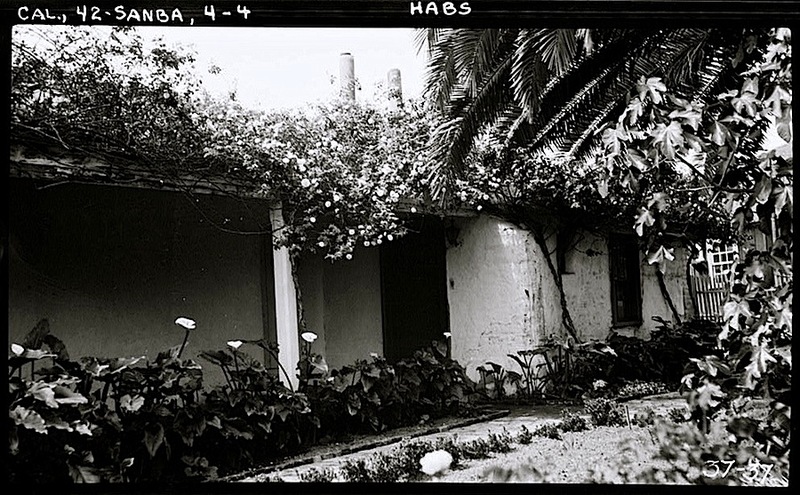 Above: bougainvillea above and calla lilies below, along the north porch, by C. A. Fletcher. Above: north porch, by C. A. Fletcher (cropped by me). Above: south porch from the southwest. Photographed April 1934, by H. F. Withey. Above: detail of south porch, east end, by H. F. Withey. 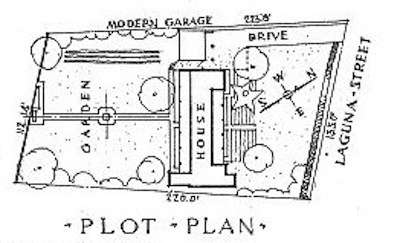 Above: 1934 drawing by Frederick C. Hageman (also the small plan above). 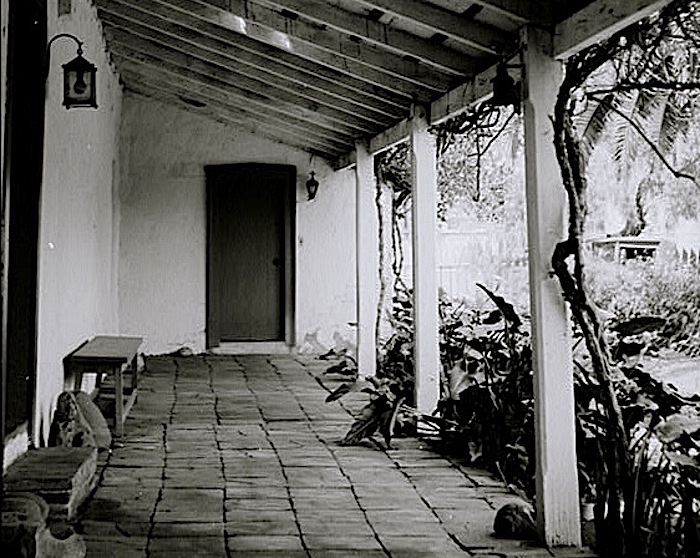 Above: 2010 photo of the Rafael Gonzalez House, now a rare book store, by Dilly Lynn, via Wikimedia Commons. There’s also a nice painting of the house in 1953 here. 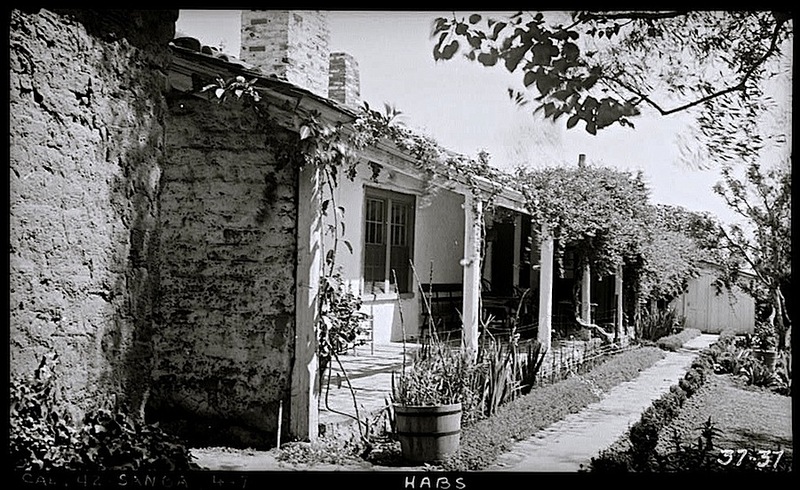 The house was designated a National Historic Landmark in 1970.
in the gesture of voilà! 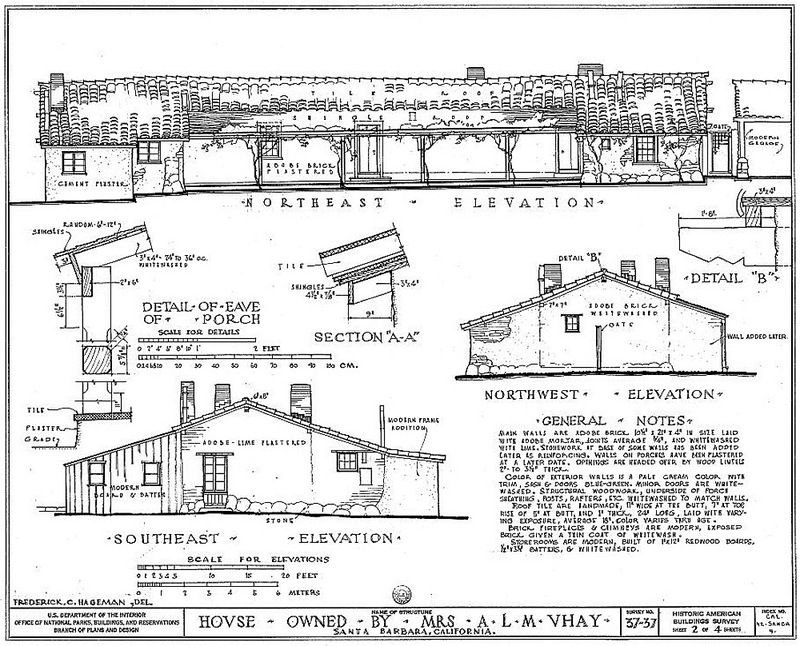 *All photos and drawings here, except the last image, via Vhay House HABS, Library of Congress. All but once, I visited coastal southern California in the summer, and I was always chilly. But it was interesting, and Santa Barbara is charming.